Smoothies are a way of LIFE here at the Blossom house and inside the Blossoming Mommy and Baby Brand- as I’m sure you are WELL aware of by now :). I love smoothies for a plethora of reasons and recommend them in each of my programs and services that I create. You Mamas know how important smoothies are by now, but did you know that NOT all protein powders are created equal? Scary, huh…. and Mamas, I learned this the hard way. Let me take you on a stroll down memory lane…. when I first started getting into health and fitness years ago, I was in college and you girls know what that means… A COLLEGE BUDGET. So, as any college student would do, I looked for the cheapest protein powders I could find to add to my “diet” because I thought it was “healthy”…. yikes! Was I ever wrong! Looking back now, it’s no wonder I had bloating, an upset tummy, and could hardly stomach the chalky taste!! Thankfully, I’ve learned how to spot fake protein powders on the market and have discovered AMAAAAZING brands that ensure high quality ingredients like RAWR NATURALS who I absolutely trust and adore! Here’s the bottom line Mommas- you and I, we’re BUSY! 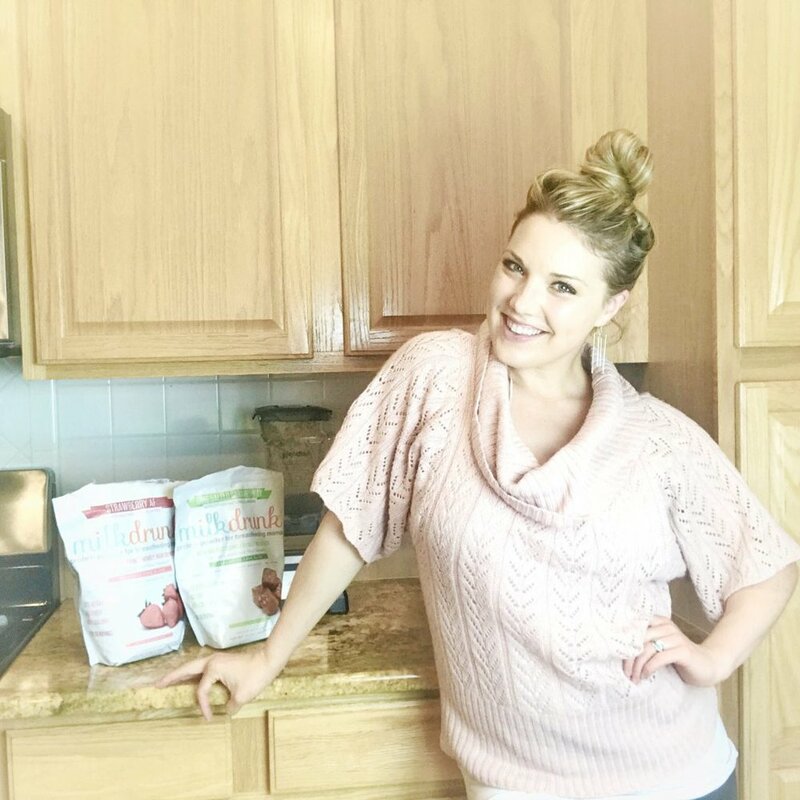 Whether I’m taking care of Brody and our home, working as a therapist, or running a global business, I need quick and quality nutrition and I choose (and encourage you to do this!) to have one smoothie a day for energy, nourishment, and overall vitality. Thanks RAWR NATURALS for always having our back! Get in the routine of reading the ingredients listed on the package. Stay away from artificial sugars, dyes, and fillers. Stay away from heavy metals. Stay away from dairy powders or solids. Stay away from Gums or Thickeners. Yahoo! Now you ladies know my secrets! Do yourself a favor and add RAWR Naturals‘ Milk Drunk line to your day routine! Trust me, to die for! Their new flavors (STRAWBERRY + OMG SALTED CARAMEL) are out of this WORRRRRLD! PLUS, they’re both Fenugreek-Free making it safe for pregnant and breastfeeding Mommas! Yes, Fenugreek is said to help boost milk supply, however some Mamas (like myself!) are sensitive to the herb, so either way- it's a win and ya'll..these flavors are ON POINT. Ok Moms!! Run, don’t walk to get your day started with Rawr Narwals! They are IDEAL for pre-post workout and are comprised of a vegan protein powder blend that includes pea protein and galacatgoues which help to increase our milk supply. GIMMMMME ALL THAT PROTEIN. As a nursing Mom, I need more protein for for Brody! In fact, the USDA now recommends 65+ g of protein per day for nursing Mommas~so if you’re breastfeeding like me… get on it girlfriend! Starting with my FAVORITE Postpartum Smoothie compliments of The Healthy Kitchen Club! Pulse, then blend on high for 45 seconds. Spoon into glasses and enjoy! You can read more from our last partnership (which was just as AMAZING) with RAWR Naturals here and here!